Before Mute started using the format as part of its “brand extension” strategy, 12″ singles were primarily used to provide longer versions of singles for DJs. The usual way of stretching a song was to add some drum loops or an extended intro or extro, but the basics of the song sounded the same. One of Mute’s innovations was to offer new versions of songs, played around with in the studio by the same producers or specialist remixers, perhaps paired with additional tracks that were not available elsewhere. 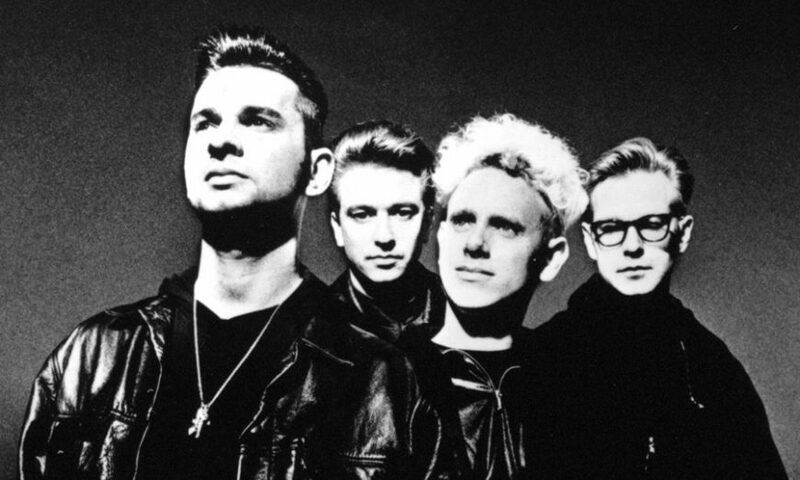 And then to do it again – and again – so that fans of a Depeche Mode song might end up with a number of different versions of the same single, pushing up sales figures and the single’s chart position. This approach has been a boon for both remix artists and collectors, as the label drew in emerging names from the dance music scene to provide mixes and pushed out multiple official releases, promotional versions and overseas exotica in marbled vinyl. We’ve gathered some of our favourite remixes below, on the basis of rarity or the funkiness of the bassline. Which tracks would be on your list? Depeche Mode’s first 12″ single came out in 1981. “New Life” came backed with an extended version of its B-side, “Shout,” which was louder, funkier and more experimental than the lead track. It’s not really pop, and it’s a pity that those who tried to write the band off as twee bubblegum lightweights didn’t flip the record to find it. 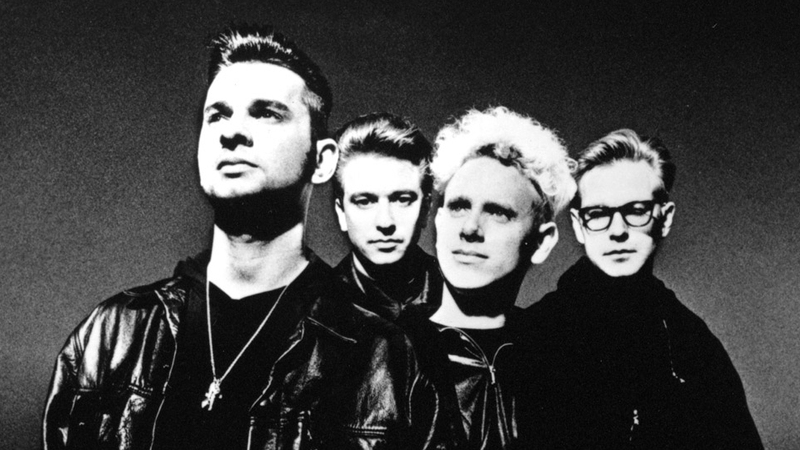 By 1984, Depeche Mode had become a band living on 12 inches. “Master and Servant” provided them with an enormous club hit, so it was natural that Joseph Watt of Razormaid should be approached for a DJ-friendly remix. Basildon, the Essex community that gave rise to the Mode, is called a “new town,” because it was developed after the Second World War. Rico Conning, who was a member of Torch Song with William Orbit and worked with him in Guerilla Studios, provided the “New Town” mix for the alternative, limited-edition version of “A Question of Time,” the main mixes having been made by the PWL stalwart, Phil Harding. Made as a transitional single between the doom-pop of A Broken Frame and the digital-infused Construction Time Again, “Get the Balance Right” was Alan Wilder’s first recording with Depeche Mode. The band eventually dropped the song, but it’s one of their most modern, harder tracks. Phil Harding made his name working for Stock Aitken Waterman’s hit factory, before being recruited by Mute to produce Nitzer Ebb’s first album and provide some mixes for Depeche Mode. His work on 1987’s “Strangelove” yielded this mix for a promotional single. Lifted from Songs of Faith and Devotion, “Rush” was remixed for the B-side of “Condemnation” and then released as a promotional single with this contribution by Guido Osorio. The strategy of “brand extension” reached its peak with “Enjoy the Silence,” which ended its run with an extra-limited edition mix clocking in at more than 15 minutes. Stretched out with samples of clocks by the band and Flood, engineered by Paul Kendall and Peter Iversen, with mixing credits given to Gareth Jones, Adrian Sherwood, Holger Hiller and others, it’s a kitchen sink mix to end them all, on one side of vinyl. Depeche turned their backs on “But Not Tonight” almost as soon as it came out, having felt rushed into it by their US label, but the song is one of the band’s best-loved and Dave Gahan’s vocal is a raw sensation.